Royal Dutch Airlines (KLM) has issued a security advisory to its crew and staff members on possible attacks by the Islamic State (IS) jihadists in Malaysia. In the advisory issued on January 26, which is valid until today, February 2, KLM’s Security Services claimed it has received credible information from Malaysian enforcement authorities that the terrorist group intends to launch an attack in Malaysia. "The IS militants allegedly joined the al-Qaeda organization in the Malay Archipelago. Strict security measures will be in place at several locations. 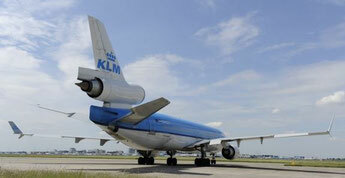 Please adhere to the directions given by the authorities at all times," KLM states in the advisory. Media reports in Malaysia said that checks with the airline revealed that the advisory was issued for internal use only to sensitize its personnel, including cargo staff, but the screenshot of the risk information analysis has meanwhile gone viral on Twitter. In the advisory, issued under the airline’s risk info analysis section, airline employees travelling to Malaysia were advised to be vigilant and avoid using public transportation. They were also recommended to stay away from shopping centres, public transportation hubs, embassies and government buildings and all areas where foreigners tend to congregate. The advisory also urged airline staff to avoid commenting on the jihadist movement. When contacted by local media, a KLM Security Services spokesperson said that the advisory was issued after information was verified with the Malaysian authorities. Could it be an overreaction by KLM? However, police have dismissed the KLM advisory and questioned exactly what “Malay authorities” KLM obtained their information from about the alleged intentions of IS terror attacks. "There has been no intelligence received about possible terror attacks, especially in the areas highlighted in the advisory," a senior police officer was quoted as saying. Speaking on condition of anonymity, the officer told The Malaysian Insider that no police intelligence had been issued to KLM regarding possible Isis activities in Malaysia. In an earlier development, The Malaysian Digest contacted both Malaysia's Home Ministry and the Dutch Embassy in Kuala Lumpur, which both denied the allegation that there is a threat by Islamic militants launching attacks in the country.